East Sussex, UK - Dorton salvage yard has provided great inspiration with a top ten of their best ideas for crafty Christmas decor using architectural salvage and reclaimed materials. 1. Create your own upcycled gift surprises and why not hang stockings on reclaimed candy stick painted coat hooks. 2. Festive seats for gift distribution from Santas helper on reclaimed school chairs. 3. Reclaimed lamp posts decorated with ribbons and wreaths. 4. Creating table centre pieces for candles, crackers or cutlery from reclaimed wood or iron. 5. Upcycle a reclaimed door into a Santa or snowman character to make a festive room feature. 6. Make a sleeps until Christmas countdown clock from reclaimed wood. 7. Create a seasonal sign to welcome your guests by upcycling old planks of wood. 8. Leftover small bits of reclaimed wood made into angel shapes can be used for tree decorations. 9. Craft a reclaimed wood Christmas tree. Make a base and centre support then cut other pieces, gradually decreasing in size to create a pyramid effect. 10. 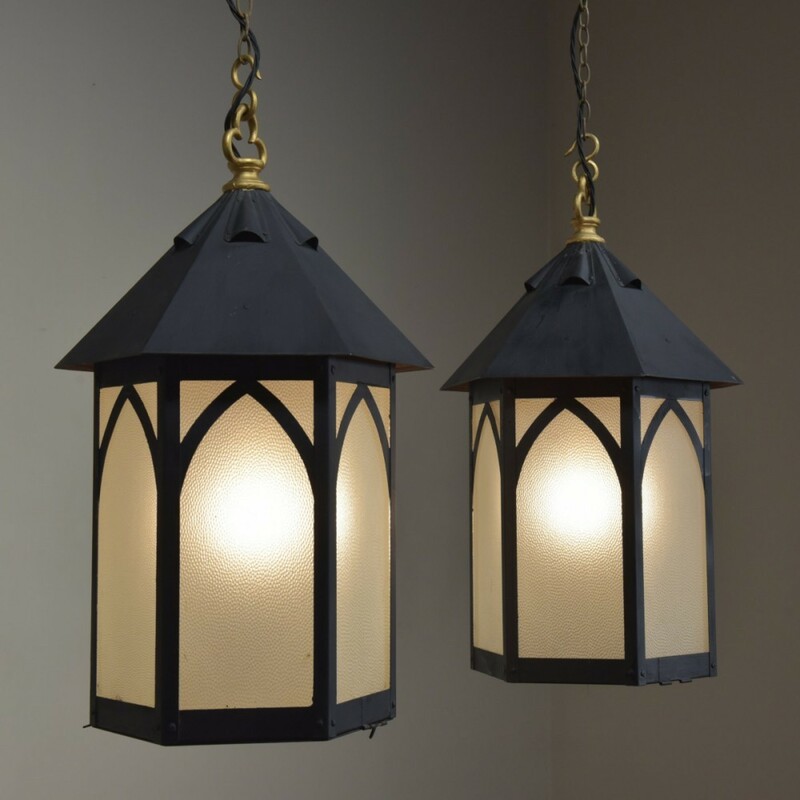 Make old lanterns into fairy light features. Another good blog source for salvage Christmas decoration ideas is Pillar Box Blue, a website all about crafting and upcycling. 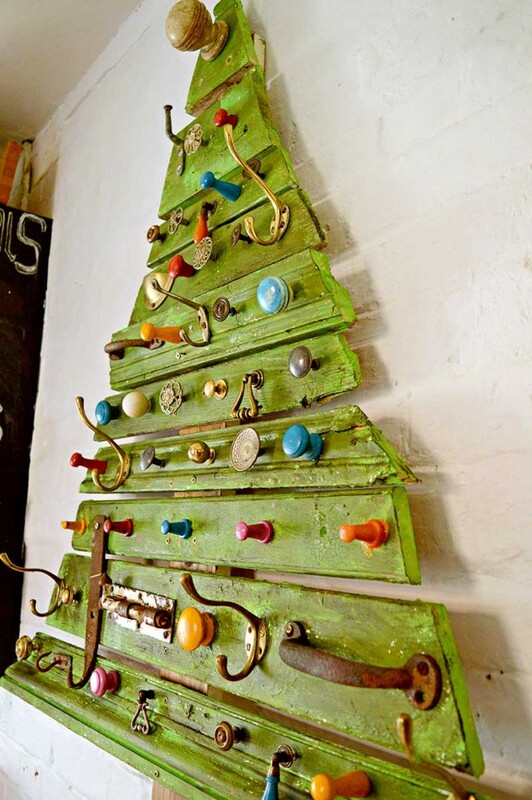 There is a fab tutorial on how to make a DIY wooden Christmas tree from architectural salvage using reclaimed door knobs and hooks. See the image ©pillarboxblue as shown. See links below for details and images of the ideas. Link up too with salvowebpins on Pinterest for more Christmas decor ideas using salvage. Dorton has a large reclamation yard, based in Burgess Hill in Sussex, well stocked with a wide variety of reclaimed building materials and some amazing artefacts suitable for a huge range of gorgeous and unique decorative items for your home or garden. Find them on the Salvo directory. Find other local architectural salvage yards in the Salvo directory. 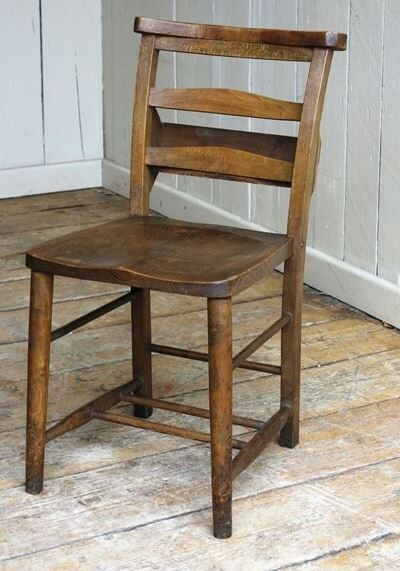 Images ©Salvo show items such as reclaimed doors, Gothic lanterns and Chapel chairs currently for sale on the SalvoWEB online marketplace for architectural salvage, reclaimed materials and antiques. Dorton: Christmas Craft Salvage Ideas!